Randy Pearson’s best book yet! Great dialog with a wonderful modern American adventure story suitable for both adults and kids. I loved this book! It was hard to put down, and kept me up way past my bedtime. But it was worth it! Thanks for a great story! I really loved the Michigan connection, too. I can hardly wait for your next book. You’re awesome! This book is based on cities mainly in the Northern Lower Peninsula of Michigan. There is very little cursing making it suitable for young readers as well as quips and one liners for older readers! I have all 3 of Mr. Pearson’s books and I love them all. I can’t wait for the next novel to come out of his brain!! An original fiction novel! 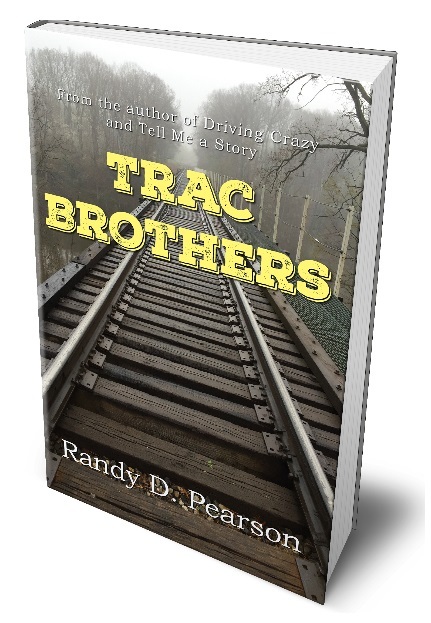 Randy Pearson masterfully marries the rustic romance of the railroad with modern views, dialogue, action and adventure in an entertaining and memorable story I just finished and am ready to read again. Pick this one up – you’ll be glad you did. I loved this book soo much! The story kept you wanting more. One of Randy Pearson’s top novels. I would highly recommend this book to anybody that loves an exciting adventure. Had a lot of fun with this one — a couple of brothers who find themselves unexpectedly in possession of an antique handcar, an spur-of-the-moment journey, adventure, a gang of railroad villains, and a dash of comedy. Who can resist? Pearson’s voice is delightful.